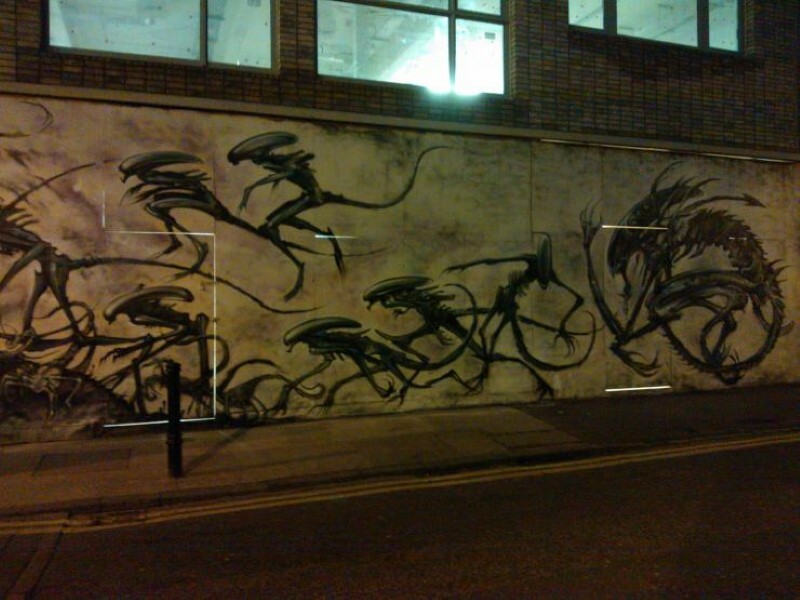 In space a dark London street, no one can hear you scream. 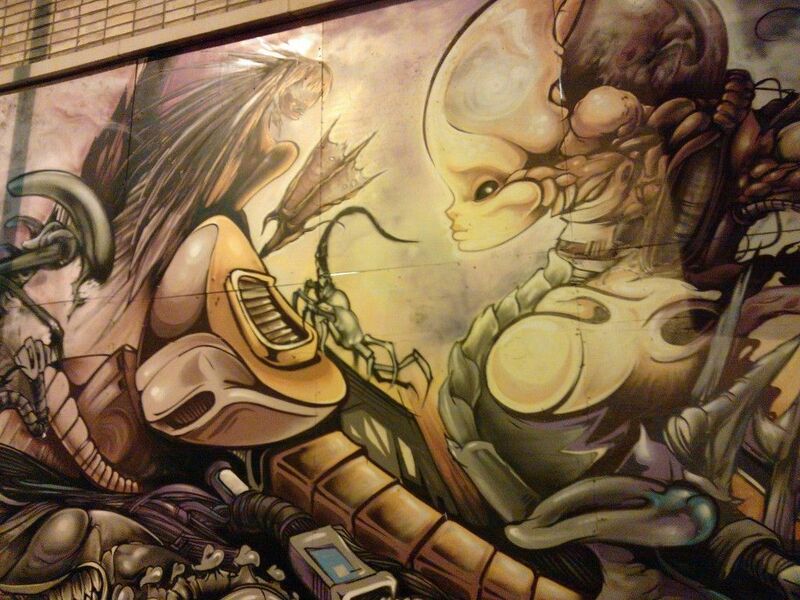 Someone with a lot of time on their hands and a boatload of talent has created the most amazingly awesome graffiti featuring everyone’s favorite xenomorphs. 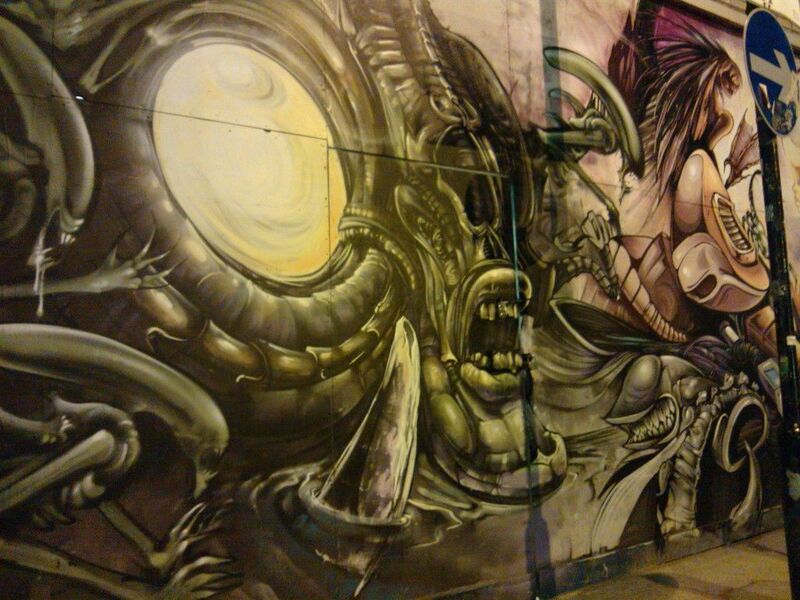 It’s a Bloody Disgusting reader named “Loic L.” who shared this truly breathtaking graffiti by taking over a dozen pics of this epic work of art of H.R. 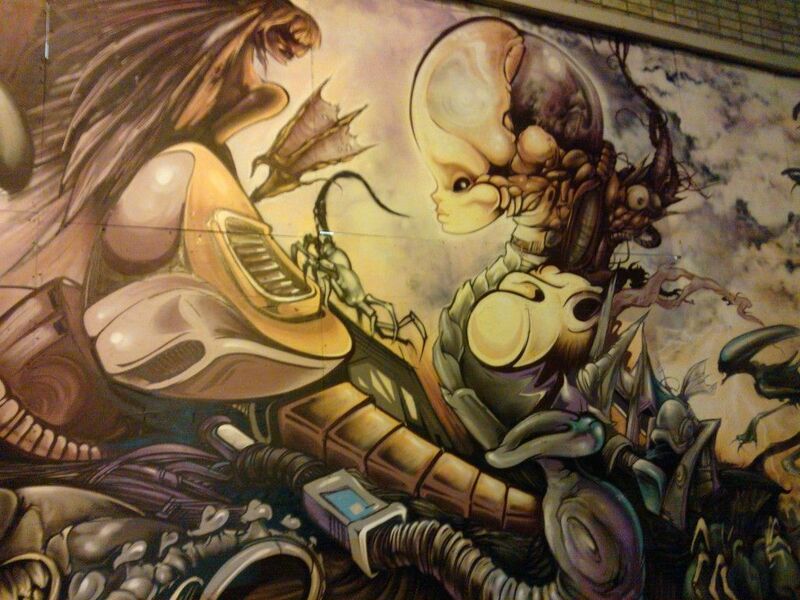 Giger-ean proportions. The guy simply found it down his road in Redchurch Street, East London. 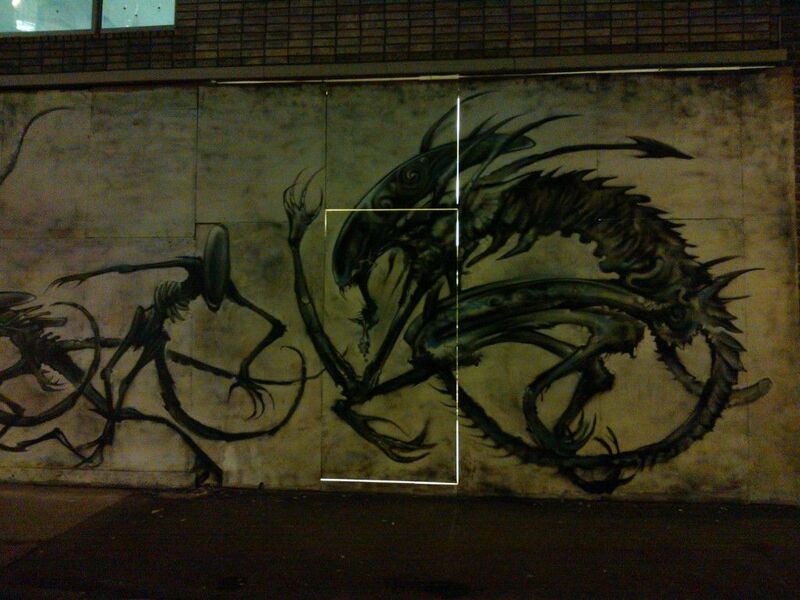 We’re crossing our fingers the London authorities will have some Ridley Scott or James Cameron and Alien(s) fans among their ranks so that they opt to keep this extremely cool piece of street art around! Check out all 17 images below. What do you guys think? Best thing you’ve seen today?